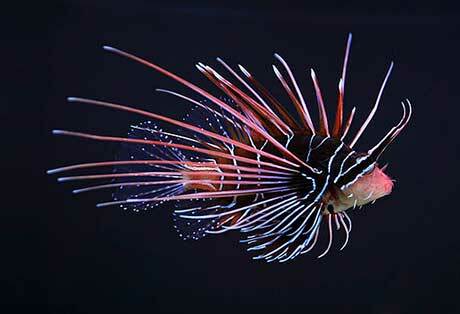 Lionfish, genus Pterois, is very popular amongst those with aquariums, and this trade may have led to them being described as amongst some of the most aggressively invasive species on the planet. Lionfish are native to the Red Sea, Pacific Ocean, and Indian Ocean, most often found around corals, reefs and rocky surfaces down to about 50 m. They have quite a distinctive appearance with their red and white stripes, together with large spiky dorsal fin rays containing venom for defence against predators. They don’t appear to have many natural predators, but large Groupers and Moray eels have been observed feeding on them. Outside aquarium circles, Lionfish are perhaps most famous for the speed in which they have invaded the east coast of the Americas, stretching from the Delaware Bay down to Brazilian waters and everywhere in between. It is thought, due to their resemblance to the species found in the Philippians, Lionfish where likely introduced into the Atlantic waters from private owners who found they could no longer look after their pets when they became too big. They don’t like to play nice with other fish either. They quite often show a hostile attitude towards others and are fiercely territorial, much to the detriment of other reef fish. 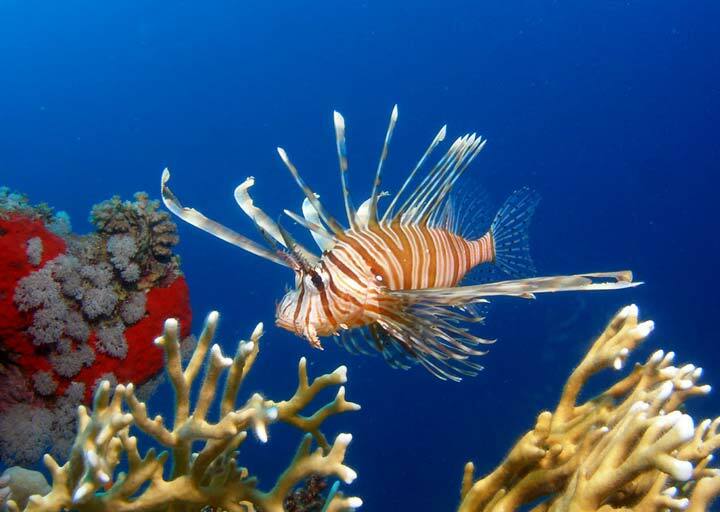 This hostile attitude along with no natural predators does not bode well for the Atlantic reefs, where studies in the Bahamas have shown that Lionfish could be responsible for a decrease of up to 80% of reef diversity. To control the invasive populations of P. Volitans and P. Miles, several avenues have been explored. 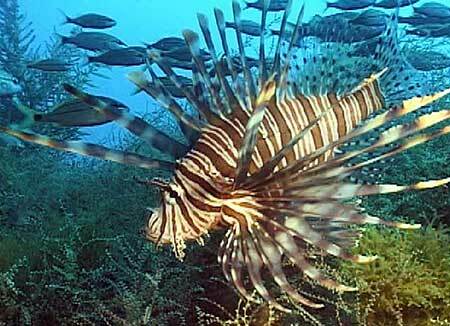 Spearing of the Lionfish has been legalised in some countries with a few even organising ‘derbies’ to control numbers. One other novel approach is to try and promote their meat for human consumption, which can apparently be quite tasty if you’re brave enough to try!